From "learning to read" to "reading to learn"
Group 1: Building foundational literacy skills. Pictures, Words, and Numbers. This, the earliest of the early books in our collection, teaches the basic number literacy and page-finding skills required for any other phone-based work. It can also be used for early math games. Manual for Tutors and Teachers of Reading. 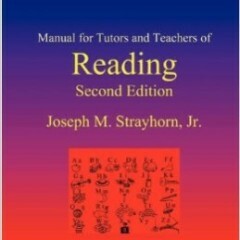 This major volume contains a hierarchy of activities with which to teach reading, as well as instructional information for teachers (or tutors) of reading. It can take students from zero to about the 4th grade level, starting with basic activities to build spatial awareness (for example, how to differentiate b's and d's) and phonemic awareness (for example, how to break "beg" apart into "buh eh guh, beg") and ending with the decoding of polysyllabic words (as far as "he ter o gen ne ous, heterogeneous," for example). Its main content, a set of 145 word lists, builds word-decoding skills with careful, hierarchical steps. The book also contains a first set of modeling stories, called The Primer Stories, which tell psychological skills stories of a most basic level (Nan shares her pen with a friend who needs one! Rick handles it when he loses the chess game! ), written so as to use only short vowel words. The Letter Stories. 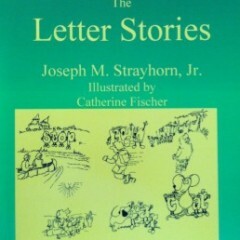 This set of stories follows a set of characters called "the letters," little letter-people (or, letters with arms and legs and faces - and very kind hearts!) who go around helping people, despite the fact that each letter can say only his or her sound. The letters must work together to say words (letters s, t, o, and p, for example, can together say "suh tuh aw puh, STOP!"). Their stories, therefore, give readers further (and perhaps, more fun) exposure to phonemic awareness skills. 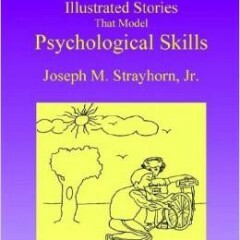 Illustrated Stories that Model Psychological Skills. This volume of illustrated stories (92 in total) is arranged along a gradual hierarchy of increasing difficulty (in terms of both reading decoding and reading comprehension). The comprehension questions which accompany each story (for example, in "Frank Stops to Think," was Frank using friendship-building or good decisions?) introduce students to the Sixteen Skills and Principles, as well as to the general "story with comprehension question" model, which will be used in the rest of the curricular readings. 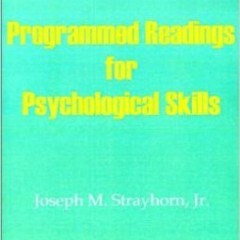 Programmed Readings for Psychological Skills. This could be considered the main - and most important - introductory manual of our curriculum; almost every student who works with us reads this book, and some start here (particularly if they're already competent readers). 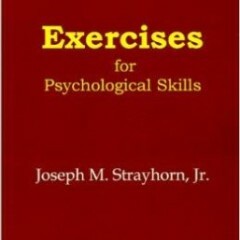 This book sets the stage for all further psychological skills instruction, teaching a wide variety of topics (for example, "Examples of Sixteen Skills," "Kindness and Selfishness," "Dilemmas," "The Twelve-Thought Exercise," "Ways of Listening to Another Person," "Frustrations and Fortitude," "Good and Bad Reasons for Noncompliance," and "Locating Control," among others). The book is written at an early elementary reading level, but its content also progresses along a hierarchy of difficulty; some pieces are more complex than others. 474. When someone has a dilemma, he has a hard choice. There is a good reason to do a certain thing. But there's also a good reason not to do it. Do you remember the sixteen skills and principles? Often we want to make a certain choice because it's a good example of one of these principles. But what if that choice is also a bad example of a different principle? What if the opposite choice is a good example of that different principle? Here's an example. A man was very poor. His children were starving. He tried to find work. He tried to beg for money or food. But it didn't work. He saw some milk on someone's doorstep. He took it and ran. He gave it to his children. He felt loyal to his children. 475. But when the man got the milk to give it to his starving children, he also took something that did not belong to him. He stole. 476. We say that this man found himself in a dilemma. It was as though loyalty and honesty were in a contest. The word versus means "in a contest with." B. friendship-building versus respectful talk? One section of Programmed Readings is an extended story, called The Journey Exercise. The story, with 12 chapters, follows a group of characters in their mission to end violence - a mission that, in this story, involves some fantastical creatures called "squoos" and an interstellar adventure to the planet "Cukoo-Baffab." Along the way, readers are taught the Twelve Thoughts, and they get considerable exposure to the idea that the way you think about something determines how you feel about it. 532. In this chapter, we add to our list of types of thoughts one that is the opposite of awfulizing, called NOT AWFULIZING. Suppose something goes wrong, but the person thinks something like "I don't like that, but I can take it. It's not the end of the world." That person is NOT AWFULIZING. B. not getting down on herself? 535. When they looked around in the room, they saw a curtain opening, as if by itself. As the curtain opened, they saw the image of a very muscular man in a cape, who looked like Superman or Batman or some such superhero. There was fire all around him, and when he spoke, fire came out of his mouth. "Welcome," he said. "Do not be afraid. You will not be harmed. I investigated your background by computer while you were standing at the front door, and I think you may be able to help me. I assure you what I am doing is only for good." Group 3: Higher level skill content. All of the following manuals expand on topics introduced in Programmed Readings, going into considerably more detail. These are also organized along a hierarchy of difficulty. A Programmed Course in Friendship-Building and Social Skills. 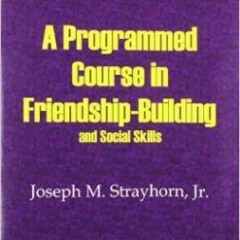 Chapter topics include "Don't Imitate Friends' Bad Habits"; "Use Greeting and Parting Rituals"; "Use Tones of Approval and Enthusiasm"; "Don't Be Too Bossy"; "Know When To Stop Talking and Listen"; "Balance Carefulness with Courage About 'Social Danger'"; and "Handle Rejection," among others. 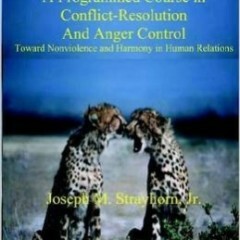 A Programmed Course in Conflict-Resolution and Anger Control. Chapter topics include "The Skill of Fortitude"; "A Plan for Learning Conflict-Resolution, Anger Control, and Fortitude"; "Listing Your Choice Points"; "Choosing Your Goals or Motives"; "Behaviors to Use in Provocation"; "Guidelines for Conflict Resolution Conversations"; "Sources of Nonpunitive Power"; and "Beyond Provocations: Improving the Emotional Climate," among others. 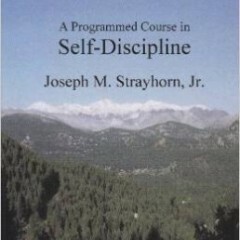 A Programmed Course in Self-Discipline. Chapter topics include "What's the Point of Self-Discipline? Choosing Goals"; "Plans for Goals: Overall Plans and Daily Plans"; "Self-Reinforcement of Steps Towards Goals, or Internal Shaping"; "More on Advanced Self-Discipline"; "More on Work Capacity"; "Using Stimulus Control"; and "Ways to Restore Your Persistence Power," among others. 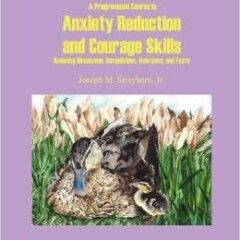 A Programmed Course in Anxiety-Reduction and Courage Skills. Chapter topics include "How Fears and Aversions are Created, Increased and Sustained"; "Avoidance Versus Mastery"; "Ways to Reduce Fears and Aversions"; "Listing Situations and Making Hierarchies"; "Choosing Emotions for the Situations You've Listed"; and "Relaxation and Meditation," among others. Manual on Being a Successful Student. 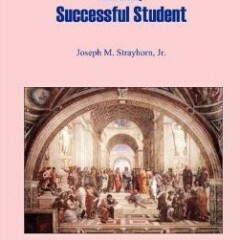 Chapter topics include "Why Do You Want to Be a Successful Student? "; "The Effort-payoff Connection"; "The Guided Missile Strategy"; "Peak Performance on Tests, and Overcoming Test Anxiety"; "Adjusting the Frequency of Review, To Fit Your Own Forgetting Curve"; "Steps Toward Becoming an Independent Scholar"; and "The Importance of Sleep and Circadian Rhythms," among others. Reading About Math. 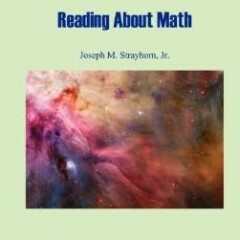 This book takes a similar approach to math instruction as the psychological skill manuals take to psychological skill instruction, presenting ideas in written text with straightforward comprehension questions. 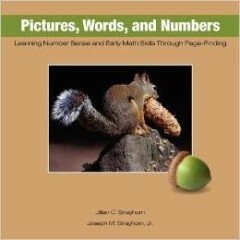 The book allows us to carry out math practice through alternate reading. It too is built upon a careful hierarchy of difficulty. 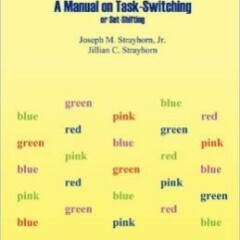 Manual on Task-Switching or Set-Shifting. This book contains math fact lists and word lists designed to facilitate practice of task-switching, or quickly adjusting from one set of instructions or attentional tasks to another. It is based upon theories that such practice can strengthen executive functioning (including concentration and attention control). But it also promises more obvious strengthening of the math facts and words that are drilled; we have used it to supplement other math practice in particular. When math skill is a priority for a given tutor-student pair we often also call upon other books that provide more math problems for practice, including a book called Arithmetic the Easy Way (from Barron's E-Z Series). Psychological Skill Questions on Novels. 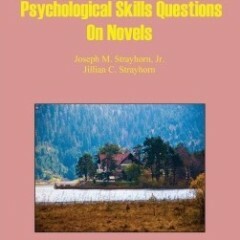 This book presents skill questions to accompany a collection of supplementary novels and stories, designed to highlight these stories' psychological skill content. (Prompting readers to identify examples of the sixteen skills, ways of listening, twelve thoughts, etc.) So far our collection of supplementary novels and stories includes: The Boxcar Children, Book 1; The Boxcar Children, Book 2; The Boxcar Children, Book 3; The Boxcar Children, Book 7; Mrs. Frisby and the Rats of NIMH; The Wheel on the School; Gladstone Comic Album #6: Uncle Scrooge in "Land Beneath the Ground"; and Disney Presents Carl Barks' Greatest Duck Tales Stories, Volume 2. A Programmed Course in Psychological Skills Exercises. 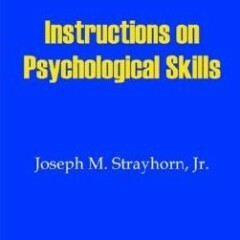 This book teaches readers the how-to's of some of the most important psychological skills exercises. Written in the programmed format, it is designed to aid tutors and students in adding new exercises to their repertoires (it too capitalizes on the strategy of aiming instruction at students directly, letting tutors and students learn things together in reading before taking on new things in practice). Exercises for Psychological Skills. 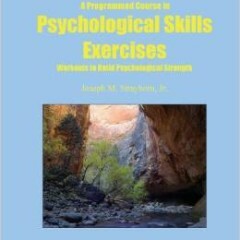 This book goes into the full collection of psychological skills exercises in great detail. It is not written in a programmed format; it reads like a normal book. It has sometimes been used to supplement tutor-student study of certain exercises, particularly with older students. 153. Here's a model of the twelve thought exercise. Tutor: Let's do the twelve thought exercise. I have a situation. Someone gets back a graded test from school. Points are taken off for answers that the student thinks are actually correct, and are mistakes by the grader. Student: OK, do you want to start? Tutor: Yes, I'll start with awfulizing. This is terrible, and so unfair. I do things right and get them counted as wrong! Your turn for getting down on yourself. Student: It must be that I did something wrong, and I'm not able to even figure out what it is. Tutor: All right! My turn for blaming someone else. The person that graded this is a bad grader. He doesn't know what he's doing. Your turn for not awfulizing. Student: It's not such a big deal. It's just a few points. It probably won't make any difference to my grade in the long run, even if it's not corrected. Tutor: Good example! My turn for not getting down on myself. It's true that I don't understand what I did wrong, but I don't want to punish myself for that. It could be that I did nothing wrong, and it could be that I made a mistake I can learn from. Your turn for not blaming someone else. Student: The person who graded this is capable of making mistakes, just as I am. I don't want to waste my energy getting super angry over this. So far, how many of the twelve thoughts have the two of them gone through? 155. Here are some tips for doing the twelve thought exercise well. How do you do "not awfulizing" when the situation really is awful? You can choose to think about something other than how awful it is. For the worst case scenario, if the situation is that a nuclear bomb is headed toward your house, not awfulizing might be, "I want to spend the next few moments doing something other than going over how terrible this is." Likewise, you can "not get down on yourself" when you really have done something bad. If you have robbed a bank, a reasonable way to not get down on yourself might be to think, "I did make a mistake, but I'm choosing at this time to do something more useful than to keep thinking what a bad thing I did." What's the principle that these examples illustrate? A. You can "not awfulize" or "not get down on yourself," without thinking something that isn't true, even when the situation is bad or you've made a mistake. B. That all the thoughts are useful at some points - there is not one of them that you should never do. 156. The same point goes for "not blaming someone else." You can be aware that someone else did a bad act and still choose to use your mind in ways other than repeating to yourself how bad that person is. You don't need to deny that someone has done something bad. What would be an example of not blaming someone else in a way that follows this principle, if you know for sure that someone purposely burned down your house? A. It's not their fault. It must have been an accident. B. Even though the person did a bad thing, I have better things to do with my mind right now than to keep going over what a bad thing he did. Instructions on Psychological Skills. 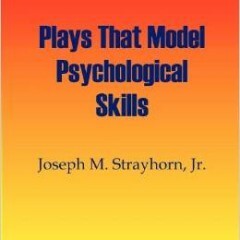 This book, also written in a non-programmed, normal book format, goes into each of the sixteen psychological skill categories (and their sixty-two component skills) in detail. In a sense, it is our definitive text covering the full range of psychological skills. The Competence Approach to Parenting. 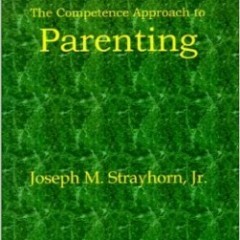 This book is directed at parents or caregivers interested in nurturing psychological skills in their children. Reinforcement and Punishment. 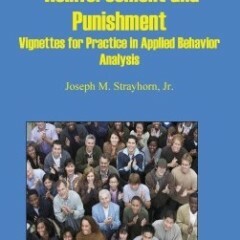 This book collects vignettes about applied behavior analysis, or about the shaping of behavior in favor of positive examples of psychological skill. It is also particularly useful for parents and caregivers, but also for tutors and others who work with children.